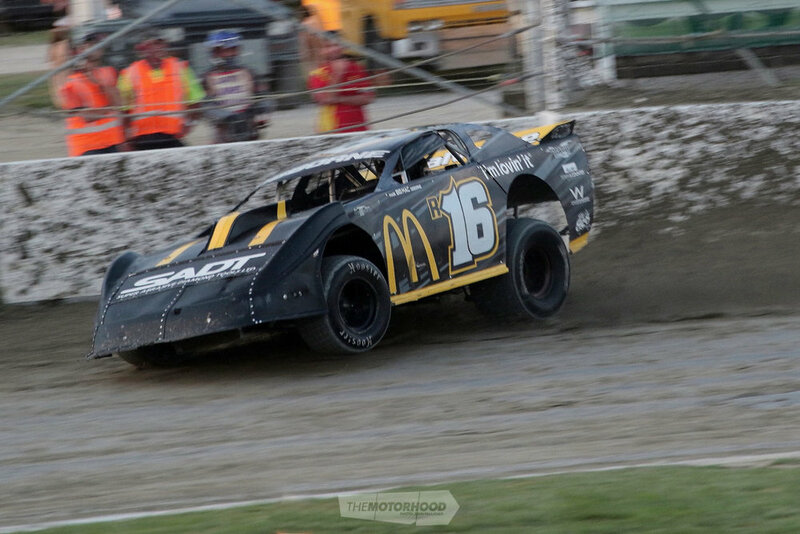 Round six of the Burger King Pro Dirt Series hit Meeanee Speedway 19th January — the crown jewel of the season with the winner taking home $3,000! The offering pulled in drivers from across the country to the deep south and showed the dedication to the sports they all have. Stands filled fast as the sun went down and the track looked pretty good considering it was raced on the night before. With 29 cars entered the crowd were treated to some good racing, Meeanee not being that wide meaning passing is difficult, but the likes of Steve Flynn and Mark Osborne used the outside line to take advantage, sometimes even three up! 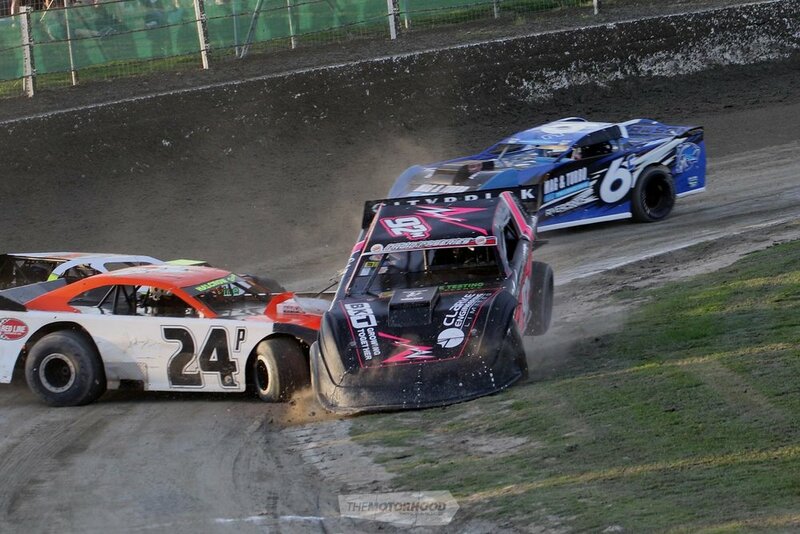 Scott Hayward and Marty Halcrow got a bit tangled up in heat one, with Scott driving over Marty’s front end. It was quite spectacular that Scott managed to keep going, although Marty sustained a left-rear flat putting him out after a few laps later. This was easily the most exciting heat, with Craig Cardwell (8H) taking the win after having rolled his car at the previous event. Second went to Craig Korff (8K), with S McIntyre (26E) in third. 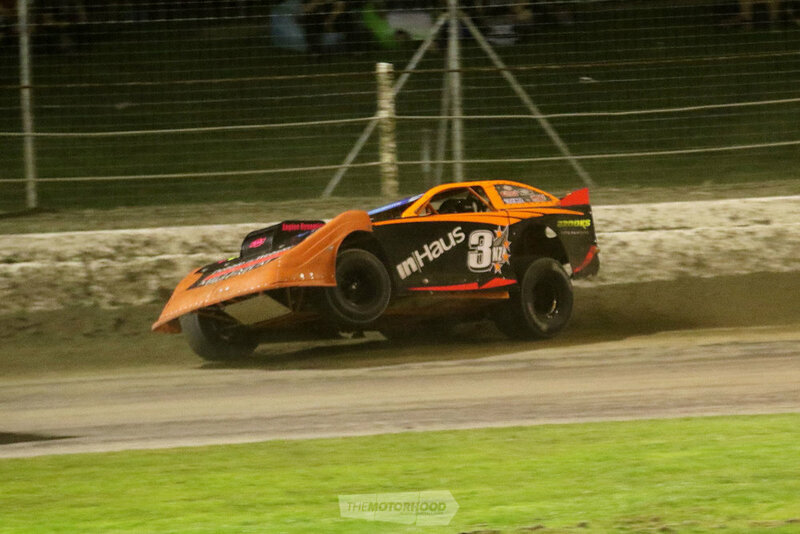 Unfortunately Mark Pritchard, owner of The Moving Company in Welling who sponsored the 10 laps had a serious crash at the NZ Super Saloon Champs and destroyed his car a few weeks earlier, so was down and out for the night. 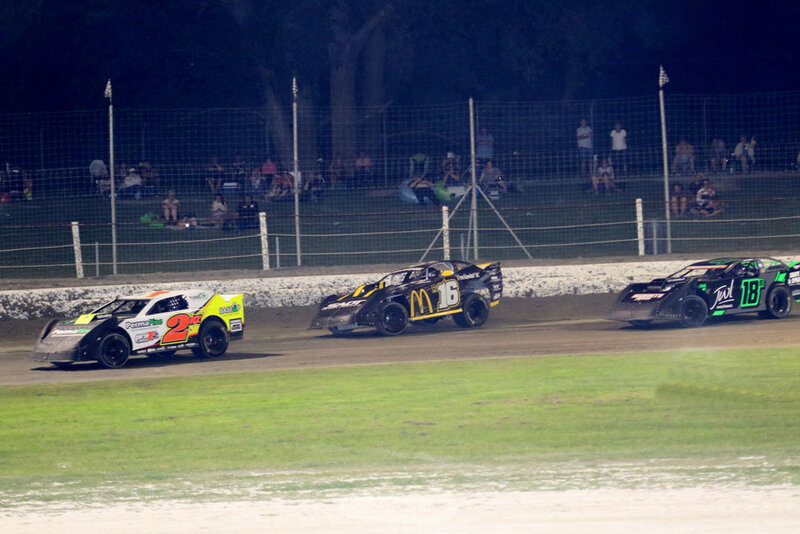 Mark Osborne (16R) won the heat after driving the car like he stole it and was still being pursued by the cops, Sam Waddell (19M) nabbed second, and Josh Boulton (891C) came home in third. A clean driving heat with zero accidents, newly crowned 3NZ Ian Burson took out the win even with the left-front wheel high in the air — great for the spectators but not so good for driver handling. Napiers Grant Flynn took out second and Peter Dickson (11E) all the way from Cromwell managed third. For the drivers that finished fifth or lower on the board in each heat, the first eight cars across the line get to start in the main feature grid from 13th to 20th. With 17 cars in contention, it was high stakes and only 10 cars managed to finish! Nothing serious, just small outs, with Cris Cowling (2NZ) coming out on top, K Lawson (6C) in second, and Campbell McManaway in third. With 20 cars racing over 30 back-to-back laps, the nights feature always produces solid racing. Sitting in pole position was Craig Cardwell (8H) who was well overdue for a win, beside him Mark Osborne (16R), along with Ian Burson (3NZ). When the flag went down it didn’t take long for Mark to pass Craig, even lapping a couple of the slower drivers before the red lights came on forcing everybody back together with only four laps to go. Could Mark stay in front? Cris Cowling (2NZ) had jumped up to second from 13th. Fighting it out for the remaining laps, it wasn’t to be for Mark and Cris took out the win, with Sam Waddell pulling in with a third. 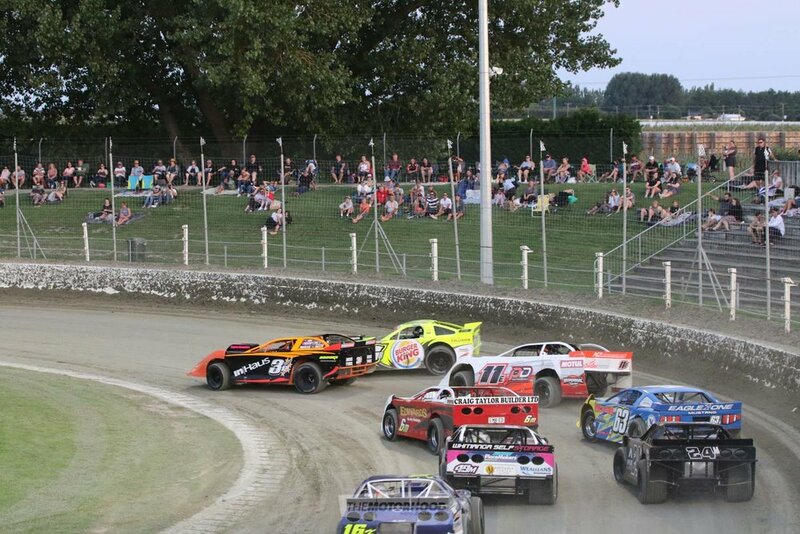 Round seven takes place at Gisborne tonight (Friday, 25 Jan), then the series is off to Baypark tomorrow night (Saturday, 26 Jan) for round eight — another busy weekend of racing!